We got these amazing invitations sent to us from my husband’s step-sister and one of my bridesmaids at my own wedding, who is getting married in March next year (so you all need to stay tuned for the photos!) and they look so good that you would think they were done professionally, but nope! The wonderful bride hand made them all herself! Talk about amazing detail! 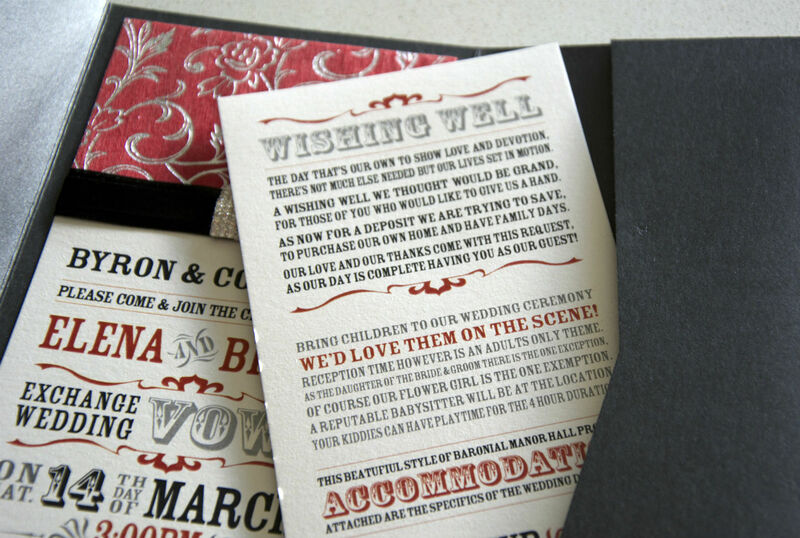 I have been advised that the wedding theme is red, burgundy and black, which is a great colour scheme for a beautiful and elegant occasion, and the invitations reflected the sophistication that is sure to be foretold for the event! 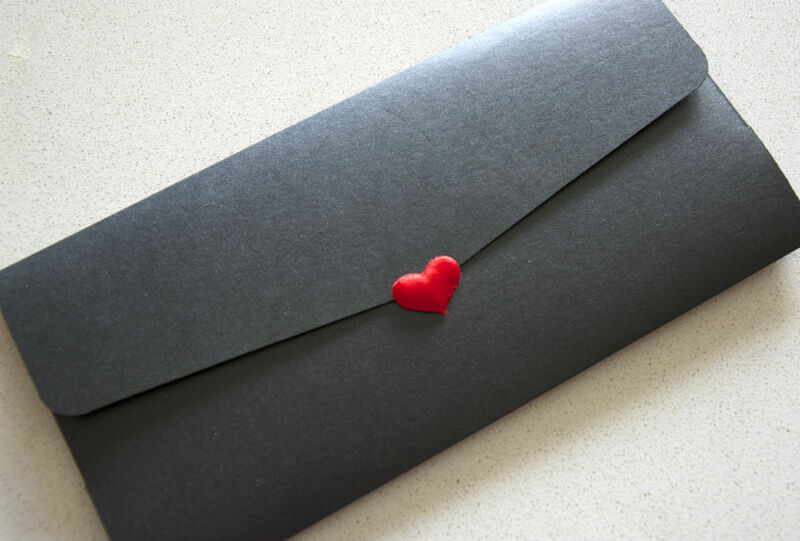 Arriving in a satin red envelope with neat typography (which I was informed that the groom did for the guests) this sleek black invitation was folded in an envelope pattern itself and sealed with a kiss with a cute red love heart. 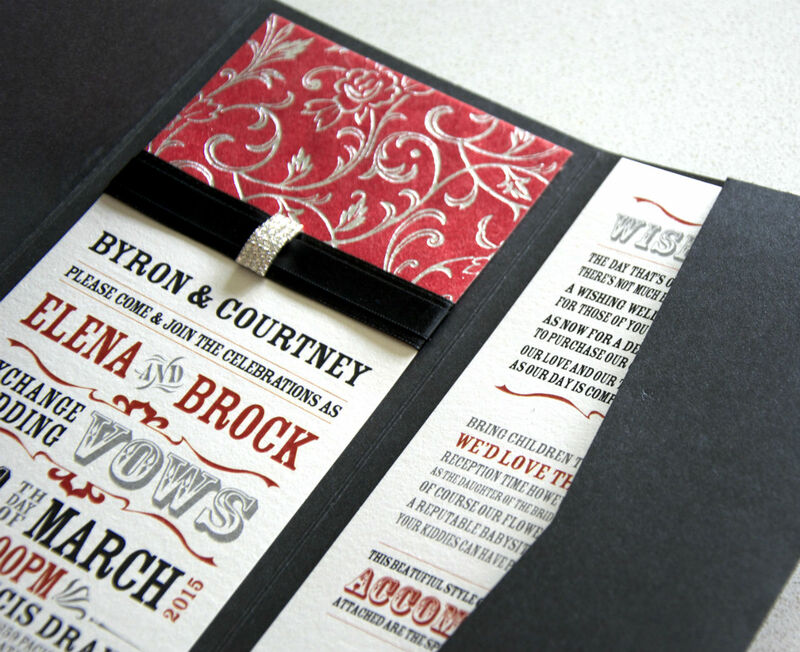 Opened up inside was a classic typography invitations that was held together beautifully with a black ribbon, flowery red and silver patterns and diamanté accents. In a slot next to it sat a matching card with information on it about the desired wishing well, information for bringing children to the event, accommodation information and RSVP details. The wonderful thing about these details was that it was all in a rhyming pattern and it certainly give great joy to read! If your looking for a fancy way to present your information, I would definitely suggest something along those lines. 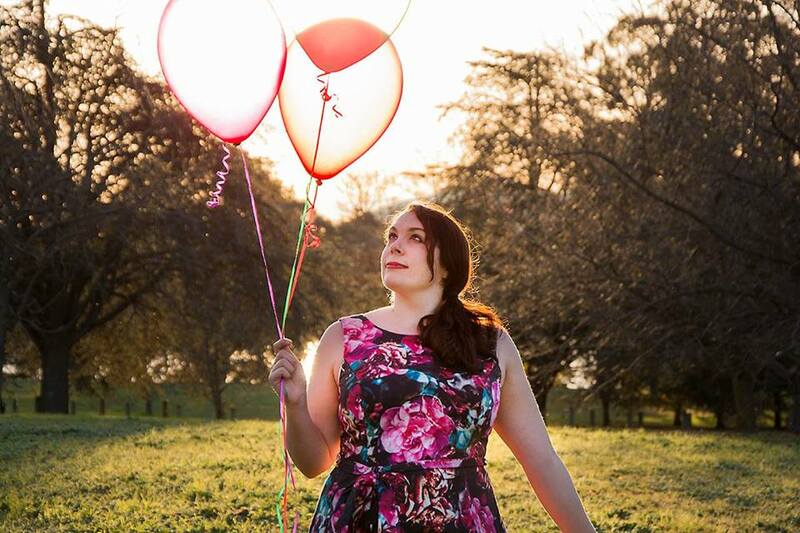 I’m super excited about this wedding and looking forward to spending a glittering evening with family members as we celebrate the love of two very special people! If you’re looking for inspiration for an invitation to a sophisticated and elegant event, look no further than these amazing invitations! They certainly made my husband and I feel special receiving them.